Deals: Dell 27" Ultra HD 4K LED display for $499.99; deep Mac mini and Mac Pro discounts; $1,799 15"
Back exclusively for AI readers and for a limited time, grab Dell's 27" Ultra HD 4K LED monitor for a record low of $499.99. Meanwhile, there's just 10 hours left to secure the lowest price you'll ever see on Apple's mid-2014 high-end 15-inch MacBook Pro (MGXC2LL/A). Plus all Mac Pros and Mac minis at unbeatable discounts. Unbeatable and back for a limited time only, this deal from Apple Authorized Reseller Adorama is exclusively for AppleInsider readers and offers Dell's 27" Ultra HD 4K LED IPS Monitor model P2715Q with USB3.0, Mini DisplayPort, HDMI, & Speaker-Line Out for $499.99 with promo code APINSIDER. That's $200 off MSRP and the lowest price ever for this Apple Thunderbolt Display alternative. It's also currently the lowest price by over $58, according to our Price Guides. 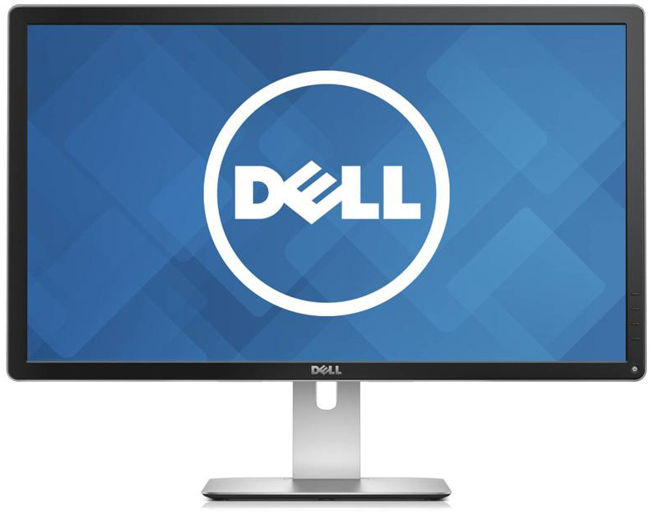 To get this deal, simply use the links in this article or our price guides jump to the Dell monitor on Adorama's website. It's currently listed at $559.99. Add it to your cart. During check out -- right after your delivery address and right before you supply payment info -- click the link that says "Do you have a gift card or promo code?" and then apply promo code APINSIDER in the promo code field and click "Apply". That's it, you should now see the the $499.99 price. Adorama also won't collect sales tax on these orders unless they ship to NY or NJ. Limit 1 per customer! Expiring at midnight (6/25) and will not return at pricing this low: For the past two weeks AI and Apple Authorized Reseller Adorama have been able to offer (see complete instructions here) Apple's mid-2014 15" MacBook Pro (2.5GHz, 16GB, 512GB, 750M) model MGXC2LL/A at near wholesale price of $1,799.99 ($700 off) after a $200 mail-in rebate (issued as a $200 pre-paid credit card). We've also been offering this same model with AppleCare included for just $1,949.99 ($898 off) when using the same rebate and applying $150 promo code APINSIDER during checkout. Both include free shipping, a free accessory, and Adorama also will not collect sales tax on orders shipped outside NY & NJ. However the $200 rebate -- and thus this deal -- will expire June 25th, bumping the price to $1,999 and $2,149 respectively. To take advantage of this one-time offer in the final 10 hours, see all the details and step-by-step instructions in this earlier post. For the lowest prices anywhere on mid-2015 MacBook Pros, see this offer. Alternatively, for the lowest prices on all mid-2015 MacBook Pros with AppleCare included, see this deal. Separately, AI has teamed with Adorama to give away free AppleCare plus additional instant discounts (on most models) with each Mac mini purchase. To take advantage of the Mac mini offer, first make sure that you take 20 second to register & login to Adorama's free VIP customer program. 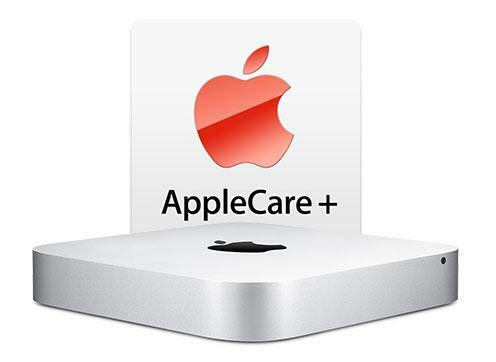 Then use the special pricing links below (or in the Macs with AppleCare Price Guide) to add a Mac mini with AppleCare bundle to your cart. During check out (right after shipment info and before payment info) click the link that says Do you have a gift card or promo code? and then apply Promo Code APINSIDER. This promo code will deduct $30 from the price of the already reduced bundle, which when combined with Adorama's instant discounts, knocks out the cost of AppleCare and adds an additional cash discount on most models. The savings listed below in red typeface reflect the total discount when compared to Apple's current price for that Mac mini model with AppleCare. Keep in mind that if you live outside NY & NJ, Adorama also won't collect sales tax on your order. Finally, AI and Adorama are also nearing the end of another exclusive promotion that -- with very few exceptions -- delivers the lowest prices we've ever seen on these Mac Pro models. It also throws in two additional years of AppleCare Extended Protection for Mac Pro, an Apple Wireless Keyboard, and an Apple Wireless Magic Mouse. Below are a list of pricing links to Mac Pros bundled with these free items. The savings listed below in red typeface reflect the total discount when compared to Apple's current price for that Mac Pro model with AppleCare but does not factoring in the savings from the free Apple Wireless Keyboard, Magic Mouse and any additional benefits. Also keep in mind, if you live outside NY & NJ, Adorama also won't collect sales tax on your order (another $200-$650 depending on the model). Step by step instructions for this deal are provided below. But taking advantage of this offer is easy: first make sure that you take 20 second to register & login to Adorama's free VIP customer program. Then use the special pricing links below (or in the Macs with AppleCare Price Guide) to add an Mac Pro bundle to your cart. During check out (right after shipment info and before payment info) click the link that says Do you have a gift card or promo code? and then apply Promo Code APINSIDER. This promo code will deduct $80 (or more from) the price of the already-discounted bundle to bring the final price of the Mac Pro bundle inline with the prices you see below. In stock models ship next business day while out of stock configurations generally deliver in one business week. Shipping is also free. 4) Once you're logged in, choose your desired iMac bundle from the list above (or via our Mac+AppleCare Price Guide) and click the associated pricing link. 5) Now add the Mac Pro bundle to your cart by clicking the green "ADD TO CART" button. 8) After you apply the promo code, scroll down and your order total should now match the prices advertised with this deal. These are just a handful of several ongoing exclusive offers from AppleInsider and Apple's top authorized resellers, many others of which can be seen on deals.appleinsider.com. For the lowest prices on the rest of Apple's Mac and iPad lineup, check out our Price Guides at prices.appleinsider.com. Mac Pro is 2 yrs old with no updates...seems like way too long for a Pro system. Apple may be skipping the Intel E5 V3 and maybe V4 as well because the support for 5K resolutions, dual 4K monitors and TB3 will come with E5 V5 chip architecture. They may also be waiting for the new AMD FirePro W series GPUs because of the new emphasis is on GPU tasks rather than CPU. Right now the main advantages for the V3 chips is more cores, DDR4 and more RAM, which isn't to say that wouldn't be a nice upgrade. The V3 chips have been shipping since late 2014 but the V4 chips have been delayed and there may not be a huge amount of time between V4 and V5 releases, so many people have suggested they will wait for V5. I'm no expert. I just remember reading that opinion on a couple other tech sites and on AI as well. Apple may be skipping the Intel E5 V3 and maybe V4 as well because the support for 5K resolutions, dual 4K monitors and TB3 will come with E5 V5 chip architecture. I think they'll figure out a way to support Retina displays with Broadwell. They don't have much spare PCIe bandwidth but if they make a 21:9 5K TB display, that will work fine over the bandwidth they have. This would make the next Mac Pro update early 2016 with Broadwell-EP (up to 18-core). DDR4 memory up to 512GB (Apple will likely offer 64 or 128 max). 2-3x the SSD speed and possibly more capacity if Intel does something good with their SSDs. The GPUs Apple uses are just the consumer chips renamed so the recent AMD R9 Fury chip would be ok (two of them) with 16GB video memory (~17 TFLOPs vs 7 TFLOPs in the dual D700). The whole consumer lineup could see a Skylake refresh at an October event. They have a mobile Xeon coming. Maybe the highest MBP can move to a Xeon. I reckon Skylake's IGP will have a significant boost over the Iris Pro 5200. Broadwell jumped 50% over Haswell in the dual-core models and the 15" is skipping this. Intel said Skylake was 50% faster than Broadwell (72 EUs vs 48). This would bring the entry 15" MBP up to or maybe even beyond the performance of the AMD R9 mobile GPU. Beware Adorama mail-in rebate deals: I bought what was supposed to be a mail in rebate product for $20 off an $80 Apple MagSafe adapter. The company that handled the rebate claimed the barcode din%u2019t match and refused to honor the rebate even after I tried to rectify the company%u2019s error. I have reported them to the FTC. Do not expect any rebates from Adorama to be honored unless they are instant. I picked up a Dell 27" P2715Q based on this posting and got the price listed here. So far, though, it shows up as 2560 x 1440 @ 59 Hz. That's not the specs on the monitor, and while the image is OK, it's not stunning. It appears the screen is running in a scaled mode, not its native resolution, nor in a Retina format. Text is about as crisp as I get on a Thunderbolt display, meaning a lot less crisp than on my early 2013 15" MBP's Retina screen. I didn't find any drivers or other information to give the Mac more information on this display than it already seems to have. So at this point the screen is rather disappointing. Any thoughts on how to improve the display? Is this a limitation on the Mac I'm using, the OS X version (latest Yosemite) or is this just as good as it'll get? Are you connecting it via a mini-displayport to displayport cable plugged into the Thunderbolt port? Actually, that Dell link doesn't say anything about how they got it working, and they have a late 2013 MBP. Not sure if the manufacture date matters. No info there on how they got it recognized, though. The monitor came with a MDP to DP cable that came with the monitor, and yes, plugged into Thunderbolt port. 30Hz will give you the higher resolution but the graphics will lag on it like the mouse will look like it's stuttering when you move it. Thanks. Well, I am not getting the full resolution on the MBP with Thunderbolt 1. I have a MacMini 2014 that has Thunderbolt 2. I'll try that. At some point I'll replace this MBP with a newer one to get 802.11ac, faster FLASH drive and Thunderbolt 2. Main concern in the near term is to see that this monitor does something useful, else it'll be returned.